There are many reasons to look at the possible and likely harmful effects that may come to our children through their experience of 'screen time'. Usually this discussion winds up placing the emphasis on either inappropriate content or the delirious effect of staring at a screen for long periods of time. We here at Oakdale Centre Mindful Teaching believe that it is the actual sensation of the experience of using technology (screen time), that powerfully pulls the attention of the child away from noticing and acting its own experience, and instead places it on external and 'virtual' triggers that frequently manipulates the attention of the child. This leaves children vulnerable in unacceptable ways. This real time interaction with technology is a very 'brain and nervous system' centred activity: it involves thinking, hand/eye coordination, focus, posture and even breathing - not to mention emotional reactions and other sensations in the body. These brain events happen swiftly and often automatically. And it is in the brain that the changes need to be made to protect themselves from online harm. This means that children need to develop the skill of choosing to pay purposeful attention on how they are feeling during screen time, and coming to aconscious awareness about what they think about what they see online. In other words, developing the ability to learn how be aware and learning to be able to make distinctions between what they experience when they are 'randomly surfing and clicking', in preference to directing their choices to that of being curious, hungry to learn and excited to explore the wealth of human knowledge and experience. This is after all, the potential great gift of the internet itself. The problem is this random activity is (largely) decided by the internet (advertisers as well as less healthy influences). This is a powerful draw on the child's attention (which undermines it natural ability to choose a more purposeful use of their time on internet). Their resistance to this draw also swiftly diminishes the longer the child is online. The more exposure the child has to these triggers (to view other content that the computer is choosing for them) the more likely the child will lose opportunities for its own pleasure and self improvement. This loss can involve aspects of how they experience their wider education, personal comprehension and the development of key cognitive skills. Not that the average teenager would respond to the question "are you developing your cognitive skills in there, kids?" with anything but a snort! None the less that is what is happening. Our children are learning how to be constantly connected to electrical technology as a major part of their daily life and they are increasingly under its influence. That is why it is so important that children and teenagers learn how to tap into their own power, to be more self aware, learn self respect and so make better choices, by learning the skill of becoming more self directed in their use of the internet. So how does mindfulness help with all of this? Mindfulness is defined as the skill of practicing 'paying attention, moment by moment, to the present moment, on purpose and without judgement'. That means children learning to become dispassionate about their choices ('being objective') and also not responding reactively (that's the 'on purpose and without judgement' part ) and instead choosing to focus and constantly refocus their attention, by first of all, accepting distractions (so as to not become 'tangled up' in fighting them) and skilfully move their attention to where they want it to be, and in this way learning to disengage skilfully from undesired and unasked for content. So that when they feel pulled away from what they want to be paying attention to, they learn to practice being mindful of their own power by choosing again what they really want to do. This skill of focusing their attention keeps them examining what their feelings and thoughts really are (because they notice them as they are having them) so their choices become more and more informed by real needs and preferences. This results in more of their needs being met appropriately. Mindfulness puts the child in the 'driving seat ' and this skill of 'noticing what I am feeling', moment by moment, becomes an increasingly natural attitude. With practice. We need to guarantee that all children will always have (at the very least) a safe and - hopefully -useful and fulfilling experience online and yet we must face the fact that this technological revolution is unprecedented in human history. None of us - especially our teenagers and children - really know how to live healthily with this pocket sized computer that connects us to 'everything in the world', healthy or not, instantly, and with minimal cost and little accountability. It is however certain that it is both a complex and a challenging question. We here at Oakdale Centre Mindful Teaching believe practicing mindfulness is part of the solution. With screen time and mental well-being at for forefront of recent news, we would to thank Pete Turner for his thoughts on this topic. 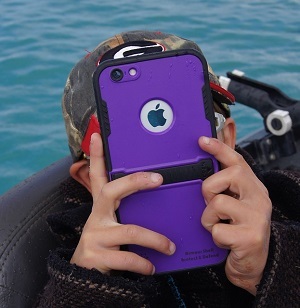 Last week, the Royal College of Paediatrics and Child Health (RCPCH) suggested that there was little evidence that screen use was harmful to children. In its review of evidence published by the BMJ Open medical journal, the RCPCH told parents to worry less about the amount of time spent looking at a screen, but with the caveat that it should be avoided an hour before bedtime. The review also looked into claims of an association between higher screen use and obesity and depression, stating that there was no clear evidence to support the theory that screen use was the cause of the issue and not a symptom. With previous advice being to limit screen time, or indeed, use screen time as a controlled reward for good behaviour, the message is still unclear. However, in the interest of health and well-being, is it more a case of what the screen time is being used for, rather than for how long? Spending time online researching information for homework or enjoining a film with the family seem to present healthy screen use. However, spending time on social media sites, craving followers and likes is perhaps more damaging as highlighted by a recent BBC feature. In a recent study by the Department of Experimental Psychology at the University of Oxford, it was found that screen time had little effect on the wellbeing of teenagers. According to the study findings, "The notion that digital-screen engagement decreases adolescent well-being has become a recurring feature in public, political, and scientific conversation. The current level of psychological evidence, however, is far removed from the certainty voiced by many commentators. There is little clear-cut evidence that screen time decreases adolescent well-being". The report also noted that the research found "little evidence for substantial negative associations between digital-screen engagement—measured throughout the day or particularly before bedtime—and adolescent well-being". The full study findings can be viewed here. Do you agree with the latest advice? Do you agree or disagree with the University of Oxford findings? What screen use by pupils most concerns you? 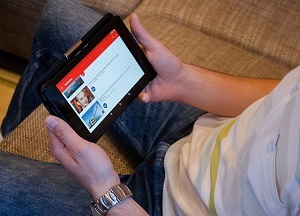 How can we ensure positive screen use? Let us know your thoughts and suggestions using the comments section below.